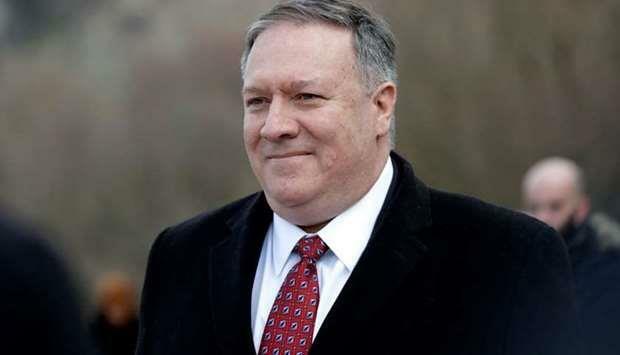 US Secretary of State Mike Pompeo cautioned allies on Monday against deploying equipment from Chinese telecoms giant Huawei on their soil, saying it would make it more difficult for Washington to "partner alongside them". Washington is concerned in particular about the expansion of Huawei, the world's biggest maker of telecoms equipment, in Hungary and Poland. "We want to make sure we identify (to) them the opportunities and the risks of using that equipment," Pompeo told reporters during a visit to Budapest. Hungary is the first stop in a trip by Pompeo to central Europe that also includes Slovakia and Poland and is part of what administration officials say is an effort to make up for a lack of US engagement in the region that opened the door to more Chinese and Russian influence. "We have seen this all around the world. It also makes it more difficult for America to be present," Pompeo told reporters during a stop at the US embassy, referring to Huawei equipment. "If that equipment is co-located where we have important American systems, it makes it more difficult for us to partner alongside them." Pompeo announced plans for a defence cooperation agreement with Hungary, one of the European governments that is most enthusiastic about Chinese investment. But he said he had discussed "the dangers of allowing China to gain a bridgehead in Hungary" in talks with Foreign Minister Peter Szijjarto. In Poland, where Pompeo is travelling on Tuesday, the government is considering banning Huawei from participating in the development of 5G capabilities after arresting a Chinese employee of Huawei and a former Polish security official on spying allegations last month. Both men have denied wrongdoing. Hungary gets most of its gas from Russia and its main domestic source of electricity is the Paks nuclear power plant where Russia's Rosatom is involved in a 12.5 billion-euro ($14 billion) expansion. Hungary's Szijjarto brushed off US concerns over Russia and China, saying Budapest was fulfilling its obligations to Western allies as a member of the NATO military alliance. "When it comes to cooperation with Russia or cooperation with the People's Republic of China, that does not harm us being reliable as a NATO ally," he told a joint news conference with his US counterpart. Chinese Foreign Ministry spokeswoman Hua Chunying told reporters in Beijing on Tuesday that China appreciated Szijjarto's "independent, fair and objective" comments, and that China-Hungary ties would not be damaged or interfered with by other countries. The United States' actions to "suppress" Chinese companies' legitimate development interests were "extremely unfair and immoral", and were unbecoming of a great power, Hua said. Pompeo also discussed concerns over the rule of law in Hungary, where Prime Minister Viktor Orban is pressuring courts, media and non-governmental groups. Earlier in the day Pompeo met with civil society leaders at the US Embassy and said he would discuss their treatment directly with Orban. Szijjarto drew parallels between the Trump administration and Orban government on curbing immigration, protecting Christians around the world and support for Israel. "Hungary's government and President Donald Trump's administration represent an identical, or very similar, approaches in both general political and numerous international political issues," he said.